Unlimited ages for supervised hires. 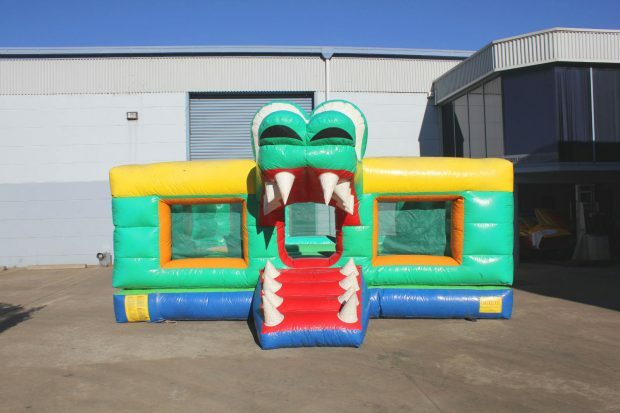 The Alligator Swamp Jumping Castle is a large inflatable hire package that will inflate life into your event. Firstly, it has pop up Alligator obstacles and a spacious jumping surface. 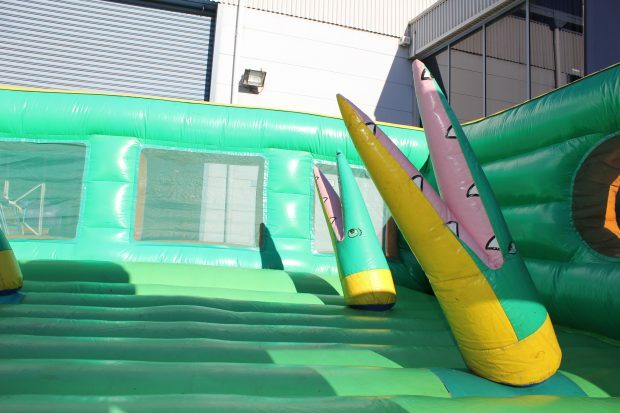 The bright coloured inflatable has been creating fun at events for years. 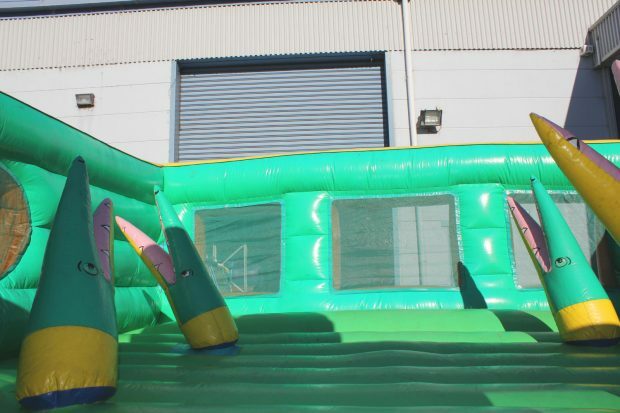 Measuring in at 7.5 metres by 6 metres in length, this is a great option if you have many children attending your event. Kids enter through the Alligator’s mouth and are able to pull down the teeth to close the mouth temporarily. 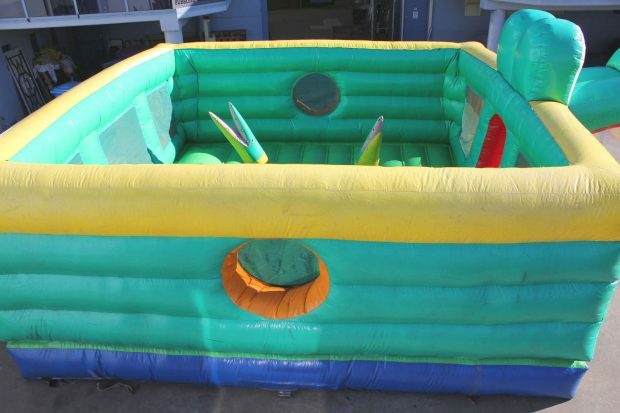 If you are looking for an extremely large jumping castle with loads of extras, this is the ultimate play structure! 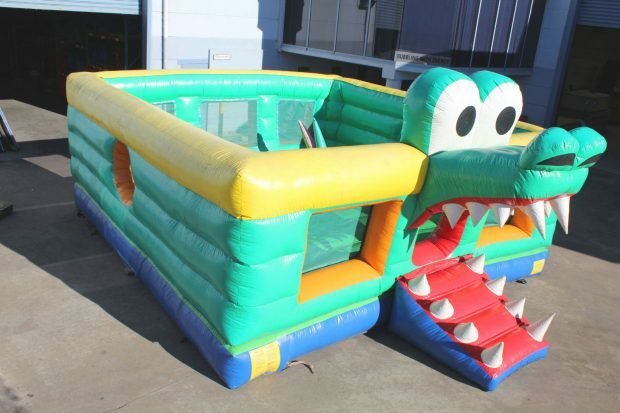 Plus, up to 15 children can play in the Alligator Swamp Jumping Castle at a time. Unfortunately, this inflatable is unable to have a sun/shower cover due to its shape. Our trusted delivery drivers can set up this inflatable on grass with pegs or concrete with weights. Please let us know which surface when booking so that we can send them out with the correct anchorage. Lastly, for bookings on concrete, we can provide safety mats for around the opening. Looking for something larger? See our Jurassic World inflatable for hire. Finally, be sure to view our other large jumping castles. Not a school, charity or sports club? Phone: (02) 9829 8929 © 2010-2016 Bubbling With Energy Entertainment – ABN 59366416863.